Infectious mononucleosis is a viral disease that causes 90% of the ubiquitous EB virus (Epstein-Barr virus). They are among the most common herpes viruses (as well as herpes sores, shingles or chickenpox). The most striking feature is the enlargement of lymph nodes in the groin, armpits and neck. Disease is accompanied by a very strong fatigue. Mainly affects children and adolescents. Into contact with EBV gets almost everyone and therefore this virus in our organism commonly vegetate. 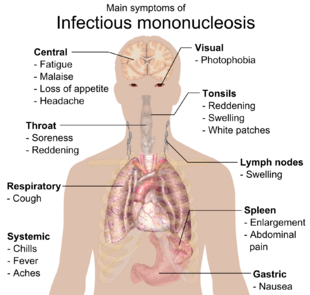 Mononucleosis frequently erupts during stress, excessive stress, while reducing immune or nervous exhaustion. The infection transmission is saliva. Therefore, this disease popularly called the kissing disease or illness student. A risk factor is kolování bottles, food or cigarettes among more people.Less frequently become infected by droplets during coughing and breathing. The patient receives lifetime immunity against this disease.Herpes viruses are not typical in that they are still present in the body even after their infection. They survive in the resting stage and if debilitation can be reactivated. They begin to secrete saliva at this time is the activity thereof can capture. The incubation period of the disease (the period from infection to the appearance of the first symptoms) is 4-6 weeks. Infectiousness is quite small, despite the name of contagious. Only about five cases out of 100 ill after contact with sick mononucleosis. 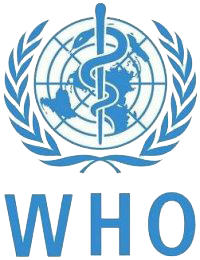 Vaccination against infectious mononucleosis is not yet possible. The EBV during the life of almost everyone encounters. It is advisable to avoid direct contact with the patient. The carrier may be any healthy person. Mononucleosis is often confused with the flu or angina. Bacterial tonsillitis is often diagnosed by a doctor and a fever is detected only when they do not take antibiotics and the patient is subjected to blood tests. Almost always, excessive fatigue, which may be the only symptom of infectious mononucleosis.Often precedes other symptoms. This was the first clue for parents to go with the child to the doctor. In most cases increases general or local lymph nodes. 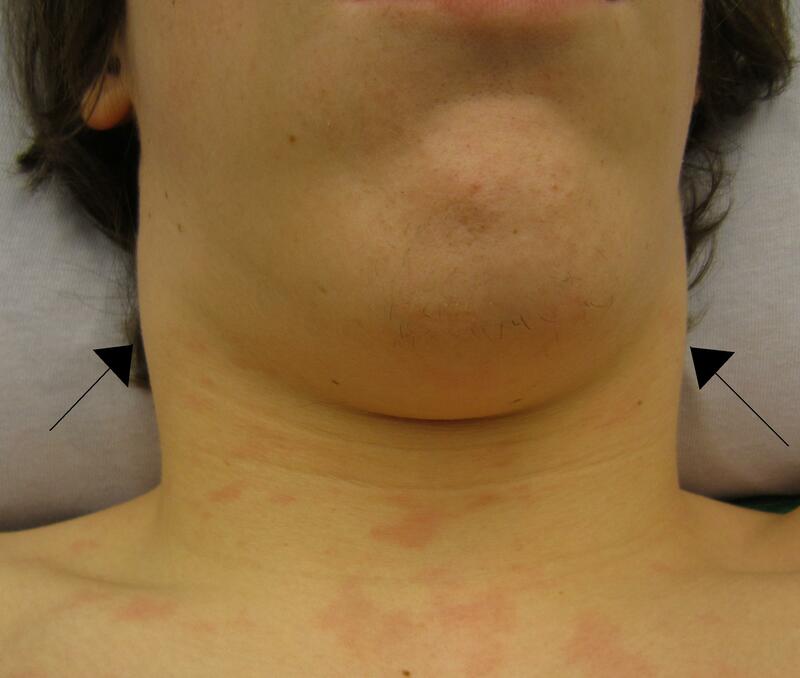 Most often become swollen neck lymph nodes, submandibular, axillary and groin. Magnification is clear and symmetric on both sides of the body. Infection often accompanies a sore throat. Almonds can be significantly enlarged and cause problems with swallowing and breathing. Very often, an enlarged liver and spleen. Patients complain of pain in the right upper quadrant. 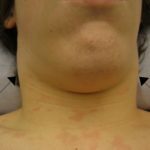 And there may be a high fever, which reaches up to 40 ° C.
In rare cases, the rash appears in the form of patches or larger spots. Sometimes, however, there is absolutely no symptoms and your doctor determines infectious mononucleosis from blood tests and a few years later. The doctor will in suspected infectious mononucleosis makes blood and liver function tests. In the blood increases the number of white blood cells. White blood cells are abnormally shaped and sometimes can resemble the proliferation of blood cells in leukemia. Multiplication of special white blood cells called. Mononuklárů, comes the very name of mononucleosis. Definitively confirm mononucleosis testing for specific antibody. To confirm infection serves identification of antibodies against Epstein-Barr virus in the blood. Anti virus forms various types of antibodies. According to their current levels can be distinguished at what stage the disease is not patient. Thus, we can detect infection subject has experienced many years ago. Especially in younger children the disease often proceeds without symptoms or a mild course. The patient in this case the infectious department of the nearest hospital for regular checkups. The hospitalization occurs when a large swelling neck, high fever, decreasing inflammation of the liver or large. Specific cure for infectious mononucleosis does not yet exist. Due to the type of viral disease are administered antibiotics (only to treat side effects such as inflammation of the throat). To reduce fever with antipyretics administered. The important factor is therefore quiet and suitable diet. Treatment is around 6 months. Sick of staying in the first month at home, holding about three months according to the results of liver diet and successfully treated too physically bother. Physical exercise, however, should be escalated slowly (three months is the time when authorizing senior athletes return to full training load after normalization of blood and liver function tests). Children need three weeks to skip school and 3-month ban applies physical education. Blood and liver tests have mostly normalized within 3 months. 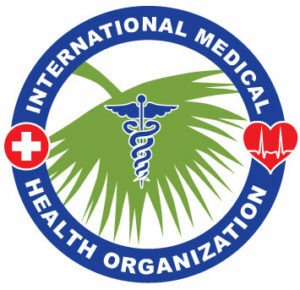 Permanent liver damage normally occur in the treated persons. At the beginning of the disease organism is sufficiently resistant infections, just a little and catch another infection. Therefore, one should avoid the possibility of infection or exposure to cold and did not bother with physically. Failure to comply with the recommended treatment regimen for treating a person runs the risk of re-emergence of the disease with a complicated course. Never treated yourself, and if you suspect immediately go to the doctor !!! It is recommended for light diet meals to achieve faster regeneration of liver cells. Previously, putting on a very strict diet, now retires from it and gives emphasis to the principles of healthy eating. The ideal is to cook food or water, power nesolit and season with herbs. Mostly from the beginning as inappropriate spicy spicy food. Because mononucleosis often affects the liver, it is important to limit fatty foods such as fried foods, sweets, chocolate, sausage and coffee. Also important is the intake of fluids. Drink at least two liters of fluid a day. Ideal fluids are diluted fruit and vegetable juice full of vitamins. Definitely skip alcoholic drinks on at least half a year, it is a huge burden for the liver! Unsuitable preservatives (ketchup, mustard, canned). So do not consume foods that contain “Es”. For meat we choose white meat such as chicken, rabbit and fish. If you occasionally get a taste of beef, surely nothing will happen, but it should not be every day. There are also many specialty cookbooks dealing with liver diets in which you can find inspiration .. In any case nesportujte! Liver and spleen are especially fragile organs, very prone to tearing. When swelling and pain in the neck is advisable to gargle with warm water with lemon. The pharmacy sells special liver tea suitable for liver regeneration. Recommended vitamin C and B complex until recovery support immunity. Suitable supplement is garlic and echinacea due to their antiviral effects. Also Dandelion and milk thistle protects the liver. Difficulty swallowing due to swollen neck. Suitable a liquid diet, such as porridge, snacks, puddings and soups. Gargle to ease the difficulties, possibly in pharmacy purchase chewable lozenges to relieve your neck. 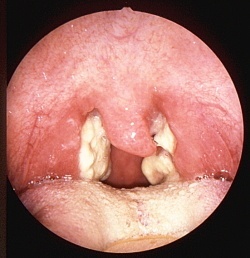 Streptococcal tonsillitis often accompanies infectious mononucleosis. A rare complication is rupture of the spleen – Symptoms of ruptured spleen is mainly a pain in the left upper abdomen, fast heart beat, increased bleeding injuries than usual, and labored breathing.Must summon immediate first aid! Streptococcal tonsillitis – a very common confusion!